We are carpentry and property maintenance specialists, who are a small, friendly and professional company based in the Walsall area. We offer free estimates and advice to private individuals as well as housing associations, landlords and commercial enterprises. We are dedicated to providing a quick, reliable service throughout Walsall and the West Midlands area, with a quality finish and excellent attention to detail. We are a local, friendly and experienced property maintenance company, providing all types of joinery, woodwork and property repair and maintenance. We have many years of experience in the industry. We have worked with many of the largest Carpentry, Property Maintenance and Joinery firms in the Walsall and West Midlands area. Whether you are looking for bespoke fitted furniture or just simple flat pack assembly work we are happy to help. Our many services include Kitchen Fitting, Bathroom Fitting, general Property Maintenance and repair. Please call us to arrange a quote. Most of our work is generated by word of mouth recommendations from our existing customers. We pride ourselves in providing a high quality, friendly and competitive service. 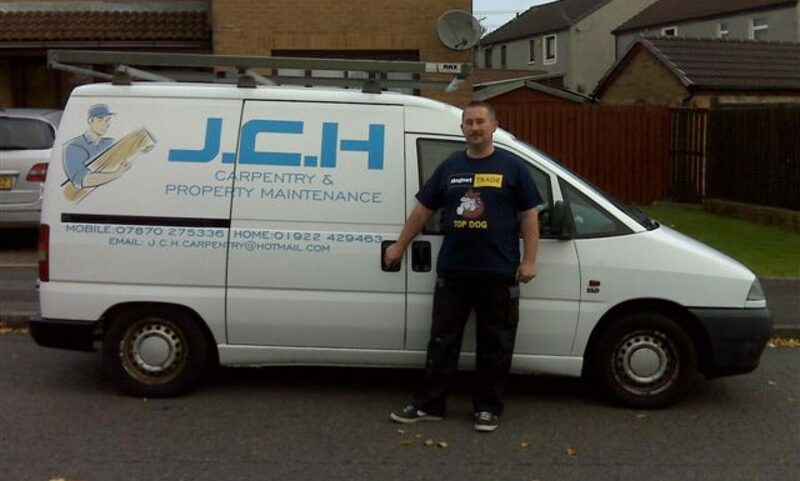 JCH Carpentry & Property Maintenance have years of experience, from complete fitted kitchens to just simply fitting a new worktop. Kitchen suppliers provide stunning modern kitchens, however these kitchens can be very complicated to fit, often arriving in multiple flat pack boxes. Assembly and installation of these kitchens is often beyond the ability of the average DIY enthusiast or general handyman. We specialise in fitting kitchens to a very high standard and are able to rectify other people’s previous installation attempts. We have fitted Kitchens in tiny bedsits and little flats to large country homes. Providing great customer service and quality workmanship are very important to us. work we do is the most important thing for us. If you are looking for professional, friendly and experienced Kitchen fitter or joiners, please contact us for a no obligation quote. 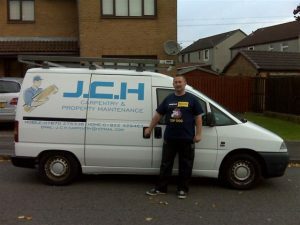 JCH Carpentry & Property Maintenance can design, supply and install kitchens. From flat pack to hand made real wood units. From small additions to complete installations and refits. Fill your home with the beauty of wood, JCH Carpentry & Property Maintenance of Walsall has skills to tackle a large range of carpentry requirements. From simple woodwork repairs to bespoke designs, from new skirting boards, replacement doors and loft flooring to garden decking. JCH Carpentry & Property Maintenance are also expert bathroom fitters. From design to installation JCH Carpentry & Property Maintenance can meet your bath or shower room requirements. From simple re-sealing of existing bath or showers to complete refurbishment. Laminate and real wood floors or tiles enhance the beauty of any room, JCH Carpentry & Property Maintenance do the job right. Contact JCH Carpentry & Property Maintenance for wall painting or tiling, or for simply adding fixtures to them to improve your living space. Quality, wall tiles to enhance the beauty, and provide a durable finish, to any room. Installation and fitting of a most household items – shelves, hooks, TV brackets. You name it and we can probably do it! Laminate and wooden Flooring etc.